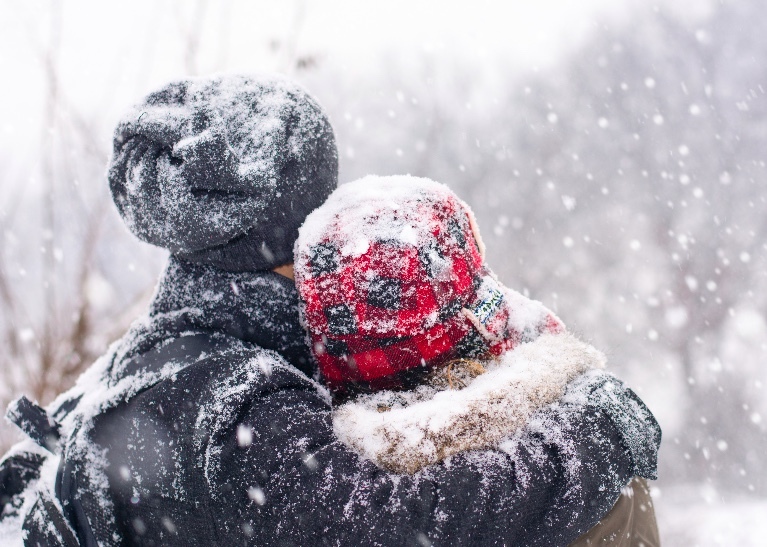 The most important antidote to winter’s isolation is connection. We come into the world wired to make connections with one another. The very foundation of our sense of self is built upon human interactions, human presence and in-person exchanges. We live in a culture where people living in some of the biggest cities are among the loneliest in the world. We are all so busy we barely have time for those we live with, never mind our friends, family and neighbours. This is yet another huge warning sign that if we don’t slow down and connect as a species, we are in trouble. We rarely make time for what really matters, like connecting with others from a heart-centred space. When we live from the heart and not the mind, we have a power untouched by fear or hatred. The winter months, for me, are a metaphor representing other difficult times in our lives, also known as our ‘winters of life’. Very often during these times, we struggle and find it hard to be positive and to show up for ourselves. During the winter months, people struggle with loneliness, isolation and a sadness that is simply not always there when the sun is shining. We are meant to move with the seasons, not fight against them. When they change, we should change too. If we do that, life will flow. We can’t keep up our summer pace in winter and we are not meant to. We need to change our sleep habits, the food we eat and our exercise habits. We need to ensure we get some daylight every day too. Under the ground, nature is busy during winter. It’s her gestation period before she rebirths her beauty, ready to show off to the world again. Our true nature is also ready and waiting to come up for air and light. We all need space, but that doesn’t mean we need to be alone. Never make a negative decision in low times: know that the spring always comes around again. It reminds me of the saying, ‘This too shall pass’. It always does. So instead of dreading the next few months, embrace them. Embrace the company of friends and family, the warmth of a fire and a nice cup of tea. Embrace chatting to friends for hours on end. Embrace this gestation period, getting ready for your rebirth next spring. The true miracles in life don’t happen when we are rushing around, but rather, when we slow down, connect and just be. Follow Your Desires – Transform the World!